Arothe and 18 others were arrested by the city Crime Branch on Monday night for betting on the IPL match between Delhi Capitals and Kings XI Punjab played at Mohali. 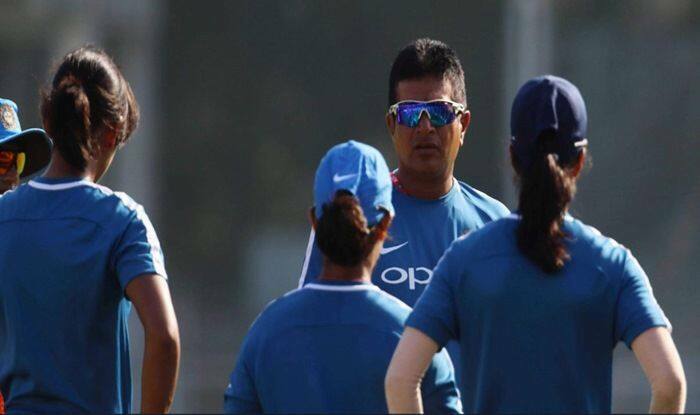 Former coach of Indian women’s cricket team Tushar Arothe was arrested for allegedly betting on an IPL match, police said Tuesday. He was arrested Monday but was given bail by the police because had been booked for a bailable offence, Vadodara Police Commissioner Anup Singh Gehlot told PTI. All the accused, including Arothe, Patel and Shah, were booked under sections 4 and 5 of the Gambling Act, the police officer said. “Arothe and the two other cafe co-owners had installed a large screen in their cafe for live streaming of IPL matches. “Others had come to the cafe to place bets using three different mobile applications. The cafe owners gave them user names and passwords to bet on the live IPL match,” said Jadeja. Arothe, Patel and Shah were in contact with a person named Baba, who used to take bet money from the trio, he said. Baba is still out of the police’s reach, Jadeja added. The police have seized cash and other articles, including vehicles and mobile phones, worth Rs 14 lakh, said Jadeja. Arothe played for Baroda in the domestic circuit. A left-handed batsman and a right-arm off-break bowler, Arothe played 114 First Class matches scoring 6,105 runs with 13 hundreds and 31 half-centuries. He also took 225 wickets with 6 for 53 as his best bowling figures. Arothe took over the reins of the women’s national team in 2017 from Purnima Rao. During Arothe’s tenure, the women’s team had made it to the finals of the ICC Women’s World Cup in 2017, which India lost by nine runs to eventual champions England. Arothe had resigned from the post in controversial circumstances. His son Rishi Arothe is a left-arm pacer and plays for Baroda in the domestic circuit.